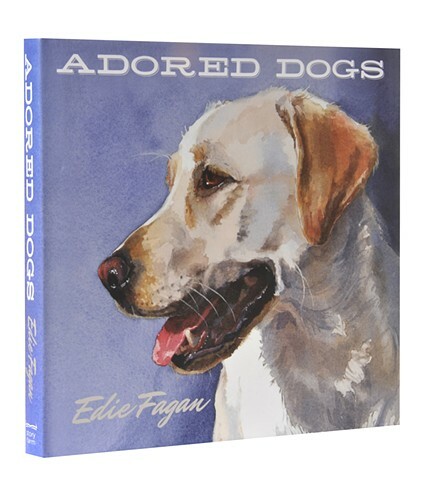 Edie's book, Adored Dogs, is a delightful, 128-page hardback book featuring 61 watercolor portraits with a heart-warming story about each dog. Click here to see a 30-page sample of Adored Dogs. On Sale Now! Just $24.00 and free USPS Media Mail shipping! Order your own autographed book and get extra copies for your dog-adoring friends and family, too! Adored Dogs is now only $24.00 (regular price $26.95) and shipping within USA is FREE - just click on the link below to purchase through a secure Paypal server. Each book is autographed, but if you would like it personalized to a certain person (or doggy), please email me with the details - ediefaganusa@gmail.com.